Storybook Saturday/Check Out This Giveaway! - HAPPINESS IS WATERMELON SHAPED! 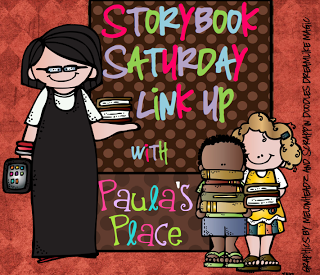 Today I am linking up with Paula for her Storybook Saturday Link Up! Oliver Button is a boy who loves to tap dance. Unfortunately, the boys at school make fun of Oliver and call him mean names. In the end, Oliver competes in a talent show, and even though he doesn't win, his family and dance teacher are very proud of Oliver. The next day in school, someone writes "Oliver Button is a star!" The story is very heart-warming, and it is an excellent way to open up a discussion about accepting differences and bullying, etc. I read this book every year because it is a "feel good story" that teaches an excellent lesson that needs to heard over and over again. for an amazing giveaway with LOTS of tremendous prizes. I LOVE Deb's blogs because she does a LOT of craftivities which I love. Additionally, she is amazingly creative and artistic. Check it out - you will be happy that you did! Oliver Button is a new one for me - I'll have to check it out!